In Jaynes, the court also agreed with the trial court; that although the urine test evidence was marginally relevant with respect to a manslaughter and careless driving charge, that the probative value of the test result was outweighed by the danger of unfair prejudice. In State v. McClain, 525 So.2d 420 (Fla. 1988), the Florida Supreme Court agreed with the trial court that the probative value of a trace of cocaine in the blood of a person with a .14 BAC was substantially outweighed by the danger of unfair prejudice, and upheld the exclusion of the evidence. Federal Rules of Evidence, Rule 901 states: "The requirement of authentication or identification as a condition precedent to admissibility is satisfied by evidence sufficient to support a finding that the matter in question is what its proponent claims." Where the proponent is offering physical evidence that has been tested in a laboratory or the laboratory results, many jurisdictions require a showing that the item seized by the police is the same item that was analyzed. Some jurisdictions have held evidence inadmissible where the state fails to sufficiently tie the evidence that was seized to the evidence that was analyzed. State v. McDonald, 697 P.2d 1328 (Mont. 1985); State v. Nygaard, 426 N.W.2d 547 (N.D. 1988); State v. Williams, 392 S.E.2d 181, 182 (S.C. 1990); People v. Sansalone, 146 N.Y.S.2d 359 (1955); People v. Pfendler, 212 N.Y.S.2d 927 (1961); Bauer v. Veith, 130 N.W.2d 897 (Mich. 1967); Joiner v. Utterback,195 N.W. 594 (Iowa 1923); State v. Foster, 422 P.2d 964 (Kansas 1967). (11) Certified Domestic Records of Regularly Conducted Activity.--The original or a duplicate of a domestic record of regularly conducted activity that would be admissible under Rule 803(6) if accompanied by a written declaration of its custodian or other qualified person, in a manner complying with any Act of Congress or rule prescribed by the Supreme Court pursuant to statutory authority, certifying that the record-- (A) was made at or near the time of the occurrence of the matters set forth by, or from information transmitted by, a person with knowledge of those matters; (B) was kept in the course of the regularly conducted activity; and (C) was made by the regularly conducted activity as a regular practice. A party intending to offer a record into evidence under this paragraph must provide written notice of that intention to all adverse parties, and must make the record and declaration available for inspection sufficiently in advance of their offer into evidence to provide an adverse party with a fair opportunity to challenge them. The state failed to comply with the Maryland version of this provision in State v. Bryant, 761 A.2d 925 (Md. 2000). In Bryant, the certification attached to a toxicology report containing the defendant's blood alcohol level was not under oath and the custodian did not certify "that the report was made at or near the time of the occurrence of the matters that it sets forth by a person with knowledge of those matters or that it was made and kept by the regularly conducted business activity as a regular practice." Bryant, 761 A.2d at 929. Additionally, the state's toxicologist could have supplied extrinsic testimony to satisfy the foundational requirements, but he could not state, "that the report was made at or near the time of the tests or that it was made by a person with knowledge." Bryant, 761 A.2d at 930. As a result, it was error to admit the report and the conviction for homicide was reversed. The court did not find it necessary to address the issue of whether the report was "pathologically germane" to treatment where it was prepared after the defendant was discharged from the hospital and only after the State's Attorney subpoenaed the records. Rule 1005. Public Records The contents of an official record, or of a document authorized to be recorded or filed and actually recorded or filed, including data compilations in any form, if otherwise admissible, may be proved by copy, certified as correct in accordance with rule 902 or testified to be correct by a witness who has compared it with the original. If a copy which complies with the foregoing cannot be obtained by the exercise of reasonable diligence, then other evidence of the contents may be given. 803(6) Records of Regularly Conducted Activity.--A memorandum, report, record, or data compilation, in any form, of acts, events, conditions, opinions, or diagnoses, made at or near the time by, or from information transmitted by, a person with knowledge, if kept in the course of a regularly conducted business activity, and if it was the regular practice of that business activity to make the memorandum, report, record or data compilation, all as shown by the testimony of the custodian or other qualified witness, or by certification that complies with Rule 902(11), Rule 902(12), or a statute permitting certification, unless the source of information or the method or circumstances of preparation indicate lack of trustworthiness. The term "business" as used in this paragraph includes business, institution, association, profession, occupation, and calling of every kind, whether or not conducted for profit. 803(8) Public records and reports. Records, reports, statements, or data compilations, in any form, of public offices or agencies, setting forth (A) the activities of the office or agency, or (B) matters observed pursuant to duty imposed by law as to which matters there was a duty to report, excluding, however, in criminal cases matters observed by police officers and other law enforcement personnel, or (C) in civil actions and proceedings and against the Government in criminal cases, factual findings resulting from an investigation made pursuant to authority granted by law, unless the sources of information or other circumstances indicate lack of trustworthiness. In United States v. Oates, 560 F.2d 45 (2nd Cir. 1977), the court held a law enforcement chemist's report to be hearsay, not subject to an exception under Federal Rules of Evidence, Rule 803(8) and therefore inadmissible without the chemist. The court significantly held that the prohibition of Rule 803(8) against admitting hearsay reports prepared by law enforcement personnel in criminal cases carried over to Rule 803(6). Thus the government cannot use the business records exception to introduce reports that would violate Rule 803(8). Oates has been criticized by a number of courts. See, Cole v. State, 839 S.W.2d 798 (Tex.App. 1990)(following Oates and discussing the controversy); Steiner v. State, 706 So.2d 1308 (Ala.Crim.App. 1997)(Rule 803(8) exception relating to reports prepared for purpose of prosecution did not apply to certificates for lab). In Mullinax v. State, 499 S.E.2d 903 (Ga.App. 1998) and Hamilton v. State, 491 S.E.2d 485 (Ga.App. 1997) courts reversed convictions where the courts admitted breath test results that did not comply with the business records exception. In Mullinax the witnesses could not testify the records were made contemporaneously with the tests. In Hamilton, the state laid no business records foundation for inspection certificates other than to show they were "maintained in the log book for the [Intoxilyzer 5000]." In Wray v. State, 751 N.E.2d 679 (Ind.App. 2001), the court erroneously admitted the certification of a breath test operator who testified he had not taken the required training, and therefore the certificate lacked "trustworthiness" under the Indiana version of Rule 803(8). When the state offers medical records containing test results in evidence, some courts have required that in addition to satisfying the business records exception, there must also be testimony that the test was "pathologically germane" to treatment. State v. Garlick, 545 A.2d 27 (Md.1988); Scannella v. Salerno Importing Co., 275 A.2d 907, 909 (Pa.Comm. 1971); see also, Tims v. State, 711 So.2d 1118 (Ala.Crim.App. 1997)(hospital records were admissible under general evidence principles where the emergency room physician, phlebotomist and laboratory technician all testified to the reasons for the test, the procedures followed, and the reliability of the procedures). Additionally, since medical records containing a blood alcohol reading are not conducted under the breath and blood testing statute, the statutory inferences may not apply and in some jurisdictions the state may be required to produce an expert to explain the meaning of the result. E.g., Briscoe v. State, 479 A.2d 1385 (Md.App. 1984). Although the rule against hearsay and the Confrontation Clause have similar roots, they are not co-extensive. The Supreme Court has held that hearsay will generally not violate the Confrontation Clause if it comes in under an exception to the rule against hearsay that is "firmly rooted" or if the hearsay contains other particularized guarantees of trustworthiness. In the case of Ohio v. Roberts, 448 U.S. 56 (1980), the Supreme Court formulated a test for determining whether the admission of hearsay evidence violates the Confrontation Clause. In a trial for forgery and possession of stolen credit cards, the defendant, Roberts, testified that the alleged victim's daughter had given him checks and credit cards and had not told him she did not have permission to use them. The State introduced as rebuttal evidence, the preliminary hearing transcript of the daughter, who could not be located. She had been called by Roberts at that hearing but denied his claim. In sum, when a hearsay declarant is not present for cross-examination at trial, the Confrontation Clause normally requires a showing that he is unavailable. Even then, his statement is admissible only if it bears adequate "indicia of reliability." Reliability can be inferred without more in a case where the evidence falls within a firmly rooted hearsay exception. In other cases, the evidence must be excluded, at least absent a showing of particularized guarantees of trustworthiness. Id. at 66. Under this analysis, the Court concluded that the preliminary hearing testimony bore sufficient indicia of reliability since Roberts' counsel had essentially cross-examined the witness at the preliminary hearing by asking numerous leading questions that were roughly equivalent to cross-examination. Id. at 70-73. Although the Roberts test has been refined somewhat since the case was decided in 1980, it retains its authority as the means of determining whether the admission of hearsay violates the Confrontation Clause. For example, in United States v. Inadi, 475 U.S. 387 (1986), without deciding the issue of reliability, the Supreme Court held that the showing of unavailability required by Roberts does not extend to coconspirator declarations. The next year, in Bourjaily v. United States, 483 U.S. 171 (1987), the Supreme Court concluded that the coconspirator exception to the hearsay rule was sufficiently firmly rooted that there was no need to further inquire into the reliability of those statements to satisfy Roberts. The unavailability requirement of Roberts is of limited applicability today. In a number of states, courts have upheld admission of test results that either are or contain hearsay, holding that the document's admission does not violate the Confrontation Clause. E.g., United States v. Wilmer, 799 F.2d 495, 501-02 (9th Cir.1986), cert. denied, 481 U.S. 1004 (1987); State v. Huggins, 659 P.2d 613, 616 (Alaska Ct.App.1982); Brown v. State, 485 S.E.2d 486 (Ga. 1997)(inspection certificate); State v. Jensen, 351 N.W.2d 29, 32-33 (Minn.Ct.App.1984); State v. Conway, 690 P.2d 1128, 1129 (Or.App. 1984), review denied, 695 P.2d 1371 (Or. 1985); cf. State v. King, 445 A.2d 901, 909-12 (Ct. 1982) (toxicology tests); State v. Van Sickle, 813 P.2d 910, 913-14 (Id. 1991) (breathalyzer printout); State v. Smith, 323 S.E.2d 316 (N.C. 1984); State v. Garlick, 545 A.2d 27 (Md.1988)(hospital test was pathologically germane to treatment); Baber v. State, 775 So.2d 258 (Fla. 2000)(citing Garlick and holding medical blood test admissible but "emphasiz[ing], however, that defendants must be given a full and fair opportunity to contest the trustworthiness of such records before they are submitted into evidence"); but see, Kettle v. State, 641 So.2d 746 (Miss. 1994)(admission of laboratory report of drug analysis as a business record in absence of technician violated defendant's confrontation rights); State v. Miller, 472 S.E.2d 74 (Ga. 1996)(holding Georgia drug statute that required defendant to proffer basis for subpoena for chemist violated the state constitution's Confrontation Clause). Here, the witness was present in the courtroom when Moon objected, pointing to a number of discrepancies on the face of the report which raised a doubt as to its reliability. Moon claimed that the hospital records were silent as to the kind of blood alcohol test performed. Dr. Caplan had indicated that while he was generally familiar with the tests employed at University Hospital, he did not know which specific procedure of the many tests used in the hospital was followed. As a matter of fact, when defense counsel sought to have the Doctor explain how a blood test was performed, the trial court cut off the cross-examination in response to the State's objection. It is obvious to us that, under these circumstances, defense counsel had a sound basis for inquiring what test was used and if the technician was qualified to conduct the test. Furthermore, the report indicated that it was completed on February 21, and the blood was drawn from the patient on February 18. These facts raise several potentially serious questions counsel may have addressed on cross- examination. Defense counsel in argument had told the trial court that the test was performed on the 21st and the blood drawn on the 18th. He did not know what happened to the blood sample in the interim, that is, how or if it was properly preserved. Cross-examination on whether chemical agents were added to the blood to maintain its stability, if the blood was deposited in a container to avoid evaporation, and if the blood was properly refrigerated to prevent putrefaction was germane to a determination of reliability. See generally American Medical Association, Committee on Medicolegal Problems, Alcohol and the Impaired Driver, A Manual on the Medicolegal Aspects of Chemical Tests for Intoxication (1968). A most important question was whether the blood test was performed on the 21st as part of Moon's treatment. Moon had been in the hospital three days, been operated on and placed in casts for his injuries prior to February 21st. It would be logical for counsel to inquire how blood drawn on the 18th and tested on the 21st had any diagnostic value for treatment already received. If counsel elicited from the technician that the test was conducted on the 21st in response to a police request, the trial judge may have concluded that the test was not performed in connection with Moon's treatment and, therefore, was not pathologically germane to the reason Moon was in the hospital. See Yellow Cab Co. v. Hicks, 224 Md. 563, 168 A.2d 501 (1961); Shirks Motor Express v. Oxenham, 204 Md. 626, 106 A.2d 46 (1954); Lee v. Housing Authority of Baltimore, 203 Md. 453, 101 A.2d 832 (1954); Globe Indemnity Co. v. Reinhart, 152 Md. 439, 137 A. 43 (1927). Counsel may even have inquired as to how the test, even if performed on the 18th, was pathologically germane to Moon's treatment if it were not transmitted to the doctors until the 21st. Under these circumstances, the trial court may have been persuaded that the test was inadmissible. Moon also complained that the report did not bear his name but rather a number. We do not speculate as to what Moon's counsel would seek to prove by cross-examining the witness on this point. We do take note that trial counsel is often resourceful and ingenious in making use of the right of cross- examination. Suffice it to say here that the areas we single out are important enough to indicate that cross-examination would not have been frivolous or pointless. Moon, 478 A.2d at 703-04. As a result, because the blood test results offered by the prosecution were unreliable on their face, the court held that the utility of cross-examination was not remote, and the State was required to produce the lab technician for cross-examination. The court further held that if the state did not produce the lab technician, in view of the facial irregularities in the test, it was inadmissible. Although Moon was a case that dealt with a medical blood test for alcohol, in Casper v. State, 521 A.2d 1281 (Md.App. 1987), the Maryland Court of Special Appeals took the Confrontation Clause analysis one step further in a case where the test was a breath test for purposes of prosecution. Relying on federal Confrontation Clause cases cited above, the Maryland Court of Special Appeals held in its second holding that the government was not required to produce the "non-testing" technician who mixed the simulator solution before offering the test results in evidence, where the test results were facially reliable. The State is required, upon a proper request, to produce the technician who performed the chemical breath test. Md. Cts. & Jud. Proc. Code Ann. Section 10_306(b) 1984. The admissibility of test results in the absence of testimony from other technicians is governed by the standards we now review. If test results contain substantial indicia of unreliability, and defendant demonstrates the utility of a non-testing technician's testimony, the results are inadmissible without the additional testimony. See Moon, 300 Md. at 373, 478 A.2d 695. When, however, test results bear substantial indicia of reliability and the utility of testimony from a second technician would be remote, a defendant's confrontation right is not violated when the results are admitted without the benefit of that technician's testimony. In those circumstances, a defendant's right to subpoena the non-testing technician satisfies the requirements of the Sixth Amendment. The Casper court went on to summarize its holding. Before results from a chemical breath test are admissible into evidence, the State must demonstrate that: (1) the test was administered within two hours of defendant's apprehension; (2) a qualified person administered the test; and (3) the State toxicologist approved the equipment (including ampules) used to determine defendant's blood alcohol content. Once these three points are proven, the State has demonstrated the prima facie reliability of the results and they may come into evidence subject to the caveats we now review. Proof of the facts above notwithstanding, a defendant must be given an opportunity to offer competent evidence challenging the reliability of his test results. If this evidence so compromises the reliability of the results that to admit them would deprive the defendant of a fair trial or due process, the results must be excluded. Less compelling indicia of unreliability places the admissibility of chemical breath test results within the discretion of the trial judge. While much of this kind of proof goes to the weight to be given to the test results, at some point best discerned by trial courts, indicia of unreliability quickly create an issue of admissibility. Casper, 521 A.2d at 1289 (emphasis supplied). Under the standards set by Casper, a DWI defendant must be allowed to review any "test results" prior to trial. The term "test results" must logically include numerous records created and maintained by State agencies which record data relevant to chemical testing and which may raise questions of reliability. Adherence to the Casper holding requires that these forms be provided in Maryland courts in response to a defendant's discovery request to enable counsel to make a preliminary determination of reliability of test results. To the extent the determination of the proven accuracy and reliability of the test results rests on hearsay, Casper provides a useful analysis for determining admissibility of the test results. Casper establishes that reliability is a prerequisite to admissibility, that once the State proves a prima facie case for admissibility the burden shifts to the defendant, and that if successfully rebutted the test may be excluded. It follows that defendants must be granted broad discovery and subpoena powers to give effect to Casper's holding, to provide defendants a meaningful opportunity to meet their burden of proof. 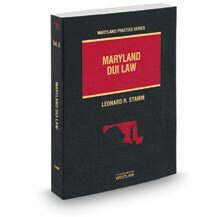 Since the Maryland courts' analysis in Moon and Casper is based on the Supreme Court's Confrontation Clause cases, the same rule should apply in all jurisdictions. In Washington v. Texas, 388 U.S. 14 (1967), the Supreme Court held that a person was denied his right to compulsory process where the "State arbitrarily denied him the right to put on the stand a witness who was physically and mentally capable of testifying to events that he had personally observed, and whose testimony would have been relevant and material to the defense." Washington, 388 U.S. at 23. In Pennsylvania v. Ritchie, 480 U.S. 39 (1987), the Supreme Court held that child abuse files potentially relevant to cross-examination of the state witness, but confidential under state law would be reviewed by the trial judge in camera for a determination of whether they contained exculpatory information. In White v. State, 598 A.2d 1208 (Md.App.1991), the court held that a subpoena directed to the state toxicologist sought testimony that was not relevant and material to the defense, and to the extent that the toxicologist may have offered favorable testimony, the defendant could hire his own expert. In United States v. Nixon, 418 U.S. 683 (1974), the Supreme Court recognized that even the President of the United States is not immune to a court issued subpoena. We now hold that the suppression by the prosecution of evidence favorable to an accused upon request violates due process where the evidence is material either to guilt or to punishment, irrespective of the good faith or bad faith of the prosecution. The concept of exculpatory evidence in Brady includes impeachment evidence. United States v. Bagley, 473 U.S. 667, 681-82 (1985); Giglio v. United States, 405 U.S. 150 (1972)(witness falsely denied testimony for non-prosecution agreement). The government must produce in discovery evidence which might impeach or cast doubt on the government's evidence. It is the prosecutor's responsibility to gather exculpatory evidence from the police. Kyles v. Whitley, 514 U.S. 419 (1995). Evidence is material to the defense "if there is a reasonable probability that, had the evidence been [available] to the defense, the result of the proceeding would have been different." Bagley, 473 U.S. at 682. A "reasonable probability" is "a probability sufficient to undermine confidence in the outcome" and is determined by looking at the totality of the evidence. Kyles. California v. Trombetta, 467 U.S. 479, 485 (1984) involved a due process challenge founded on Brady and its progeny, to a drunken driving conviction where the state failed to preserve the defendant's breath sample. The Supreme Court rejected the defendant's argument that the samples must be preserved for testing by defense experts for possible use in impeaching the breath test results. The Court reasoned that the samples were unlikely to be exculpatory since the procedures followed in running the Intoximeter test rendered the results reliable, and therefore inculpatory. 467 U.S. at 489. The materiality of breath samples is directly related to the reliability of the Intoxilyzer. The degree to which preserved samples are material depends on how reliable the Intoxilyzerr is. This correlation suggests that a more direct constitutional attack might be made on the sufficiency of the evidence underlying the State's case. After all, if the Intoxilyzer were truly prone to erroneous readings, then the Intoxilyzer results without more might be insufficient to establish guilt beyond a reasonable doubt. Jackson v. Virginia [, 443 U.S. 307 (1979)]. Trombetta, 467 U.S. at 489 n. 10. The Court then briefly discussed alternative means of attacking the instrument's reliability which did not require preservation of the breath sample, including bringing out the possibility of faulty calibration. Id. at 490. Even if one were to assume that the Intoxilyzer results in this case were inaccurate and that breath samples might therefore have been exculpatory, it does not follow that respondents were without alternative means of demonstrating their innocence. To protect against faulty calibration, California gives drunken driving defendants the opportunity to inspect the machine used to test their breath as well as that machine's weekly calibration results and the breath samples used in the calibrations. See supra, at 2530. Respondents could have utilized these data to impeach the machine's reliability. As to improper measurements, the parties have identified only two sources capable of interfering with test results: radio waves and chemicals that appear in the blood of those who are dieting. For defendants whose test results might have been affected by either of these factors, it remains possible to introduce at trial evidence demonstrating that the defendant was dieting at the time of the test or that the test was conducted near a source of radio waves. Finally, as to operator error, the defendant retains the right to cross-examine the law enforcement officer who administered the Intoxilyzer test, and to attempt to raise doubts in the mind of the factfinder whether the test was properly administered. Trombetta holds that the government violates due process when it fails to preserve evidence containing a known exculpatory value and comparable evidence is not obtainable by reasonable means. See, State v. Blackwell, 537 S.E.2d 457 (Ga.App. 2000)(where field test of urine for drugs was negative and laboratory test positive, and defendant obtained a court order for an independent test of the urine, appropriate sanction for subsequent destruction of urine sample was dismissal); People v. Newberry, 652 N.E.2d 288 (Ill. 1995)(field test for cocaine negative and laboratory test positive - sample destroyed after discovery request filed - case dismissed and dismissal affirmed). that unless a criminal defendant can show bad faith on the part of the police, failure to preserve potentially useful evidence does not constitute a denial of due process of law. If you find that the State has . . . allowed to be destroyed or lost any evidence whose content or quality are in issue, you may infer that the true fact is against the State's interest. Youngblood, 488 U.S. 59-60 (Stevens, J., concurring). In State v. Rains, 735 N.E.2d 1 (Ohio App. 1999), the court found such bad faith, where unlike Youngblood, the "normal practice" at laboratories throughout the state was not followed in the destruction of blood samples and calibration samples, where there was a failure to follow state regulations requiring: blood samples to be sealed and refrigerated; the laboratory to have a written protocol manual; the retention of blood samples for a year; the calibration of the machine on a regular schedule; independent analysis of calibration solution; and retention of calibration solution for subsequent verification. In State v. O'Dell, 46 P.3d 1074 (Ariz.App. 2002), the court ruled bad faith was not shown where the police in Pima County failed to connect the modem of the Intoxilyzer 5000 and therefore failed to transfer data to the Alcohol Data Acquisition Management System (ADAMS) before the data was routinely purged from the Intoxilyzer. This finding was despite the practice followed in many other jurisdictions of transferring and storing the data. Since "bad faith" was defined by reference to whether the evidence was exculpatory and the exculpatory value was not established at the time the evidence was destroyed, the court found no due process violation. Some cases have held the government is required to preserve evidence, even where, as in Youngblood, the defendant cannot show bad faith of government officials or that the exculpatory value of the evidence was apparent when the government destroyed it. See, e.g., Ex Parte Gingo, 605 So.2d 1237 (Ala. 1992)("'there may well be cases in which the defendant is unable to prove that the State acted in bad faith but in which the loss or destruction of evidence is nonetheless so critical to the defense as to make a criminal trial fundamentally unfair' Youngblood, 488 U.S. at 61, 109 S.Ct. at 339 (Stevens, J., concurring in the result). We think that this is such a case. "); Thorne v. Department of Public Safety, 774 P.2d 1326 (Alaska 1989)(Alaska's due process clause does not require a bad faith showing - remedy for destruction of videotape showing standardized field sobriety tests is for hearing officer to presume tape was favorable to the defendant); State v. Delisle, 648 A.2d 632 (Vt. 1994)(Vermont state constitution requires balancing of "(1) the degree of negligence or bad faith on the part of the government; (2) the importance of the evidence lost; and (3) other evidence of guilt adduced at trial"); State v. Burden, 17 P.3d 1211 (Wash.App. 2001)(State's failure to preserve materially exculpatory evidence violated due process rights of defendant, who could not obtain comparable evidence); State v. Benton, 737 N.E.2d 1046 (Ohio App. 2000)(failure to preserve after a request for discovery - videotapes of SFSTs evidence which could not be obtained by comparable means - conviction vacated - burden on state to show was not exculpatory); State v. Morales, 657 A.2d 585, 594 n.20 (Conn. 1995)(rejecting bad faith requirement to make out due process violation under Connecticut state constitution). In State v. Ware, 881 P.2d 679 (1994), the New Mexico Supreme Court compared and contrasted the suppression, failure to preserve and failure to gather evidence material to the defense. The court noted that in some circumstances, the failure to gather evidence may be equivalent to the destruction of evidence. If the court finds the evidence is material to the defense, as defined in Bagley, then the court looks to the level of culpability of the police (good faith, bad faith, simple or gross negligence) in failing to gather the evidence to determine the appropriate sanction (no sanction, negative inference, suppression of evidence). See also, Daniels v. State, 956 P.2d 111 (Nev. 1998)(following Ware); Lolly v. State, 611 A.2d 956 (Del. 1992)(defendant entitled to instruction where police negligently fail to collect potentially exculpatory evidence); State v. Werkheiser, 474 A.2d 808 (Md. 1984)(failure to obtain blood sample where required by statute - defendant allowed to argue evidence would have been favorable to the defendant). In Gregory v. United States, 369 F.2d 185 (D.C. Cir. 1966), a murder conviction was reversed where prospective witnesses were told by a prosecutor not to speak with defense counsel unless he was present. The court held the prosecutor's conduct deprived the defendant of a fair trial. See also, State v. Meza, 50 P.3d 407 (Ariz.App. 2002)(concealing failed calibration tests constituted bad faith requiring suppression). There is also a wealth of caselaw in civil cases dealing with spoliation, the destruction of evidence. For example in White v. Office of the Public Defender, 170 F.R.D. 138, 147-48 (D.Md.1997) the White court identified four elements generally regarded as being prerequisite to a court's imposition of spoliation sanctions: (1) an act of destruction, (2) discoverability of the evidence, (3) an intent to destroy the evidence, and (4) occurrence of the act at a time after suit has been filed, or, if before, at a time when the filing is fairly perceived as imminent. These cases may be cited in administrative hearings where the criminal constitutional protections may not strictly apply. See also, Sweet v. Sisters of Providence, 895 P.2d 484 (Ak. 1995)(burden of proof shifts to spoliator). Rule 16 governs discovery in federal court. Discovery related to scientific evidence sought in a drunk driving case falls within at least two provisions, the documents that are material to the preparation of the defense and records of scientific tests and results. (a) Governmental Disclosure of Evidence. (1) Information Subject to Disclosure. (C) Documents and Tangible Objects. Upon request of the defendant the government shall permit the defendant to inspect and copy or photograph books, papers, documents, photographs, tangible objects, buildings or places, or copies or portions thereof, which are within the possession, custody or control of the government, and which are material to the preparation of the defendant's defense or are intended for use by the government as evidence in chief at the trial, or were obtained from or belong to the defendant. (D) Reports of Examinations and Tests. Upon request of a defendant the government shall permit the defendant to inspect and copy or photograph any results or reports of physical or mental examinations, and of scientific tests or experiments, or copies thereof, which are within the possession, custody, or control of the government, the existence of which is known, or by the exercise of due diligence may become known, to the attorney for the government, and which are material to the preparation of the defense or are intended for use by the government as evidence in chief at the trial. There are numerous decisions under Rule 16 and the decisions, at least under Rule 16(a)(1)(D), go both ways. See, 110 ALR Fed. 313, Annotation, Reports of Tests, Experiments, or Analyses as Subject to Discovery by Defendant under Rule 16 of Federal Rules of Criminal Procedure. The better reasoned opinions hold that Rule 16 was amended to liberally allow discovery so the defendant can prepare for trial. E.g., United States v. Green, 144 F.R.D. 631 (D.C. W.D.N.Y. 1992); United States v. Barrett, 703 F.2d 1076 (9th Cir. 1983); United States v. Kelly, 420 F.2d 26 (1970); United States v. Inglesias, 881 F.2d 1519 (9th Cir. 1989)(Boochever, J. dissenting). Rule 16 (a)(1)(D) extends to the records and tests conducted by the toxicologist and his staff as well as other persons who test, calibrate, maintain, and repair the Intoxilyzer machine. These are documents that are also material to the defense under Rule 16(a)(1)(C). See, United States v. Bel_Mar Laboratories, Inc., 284 F.Supp. 875, 887 (E.D.N.Y.1968); Inglesias. State cases relevant to a discussion of discovery rules include Patrick v. State, 617 A.2d 215 (Md. 1992), where the Maryland Court of Appeals construed the term "scientific tests" in the circuit court discovery rule, Maryland Rule 4-263(b)(4), to include polygraph examinations conducted on State witnesses, even though the actual polygraph results are inadmissible in Maryland, and even when the polygraph results are not exculpatory. State v. Hawkins, 604 A.2d 489 (Md. 1992). Despite the inadmissibility of polygraph examinations, the court noted that "the twin objectives of Maryland's criminal discovery rules are to assist the defendant in preparing his defense and to protect the accused from unfair surprise." Patrick, 617 A.2d at 218. In this regard the court did not require the defendant to make a showing or even proffer that the tests were exculpatory or that the state intended to use the tests in order for them to be discoverable. The court recognized the test results' utility as an investigative tool and left it to defense counsel to determine how to use them. In the following cases, discovery was ordered. E.g., State v. Ford, 572 A.2d 640 (N.J.Sup. 1990)(approving review of logs for one year prior to defendant's test and access to operator's manual); Constantine v. Leto, 557 N.Y.S.2d 611 (App.Div. 1990)(records indicating machine not operating properly, state police rules and regulations, checklist and calibration records discoverable, operator training manual not discoverable). Rule 16 allows the defendant to prepare a defense and requires the government to provide the documents it knows it has or "by the exercise of due diligence may become known" to it. We hold that the criminal action must be dismissed when the Government, on the ground of privilege, elects not to comply with an order to produce, for the accused's inspection and for admission in evidence, relevant statements or reports in its possession of government witnesses touching the subject matter of their testimony at the trial. Id. at 672; cf. United States v. Nobles, 422 U.S. 225 (1975)(exclusion of evidence may be imposed on the defendant for violation of a discovery order - reverse Jencks). There are numerous legal theories that may be used to support challenges to scientific evidence. Each state has its own complex system of rules for determining whether scientific evidence will be admitted in evidence. All states share the same federal constitutional requirements, and many of the evidentiary, statutory and regulatory rules have a common source or purpose, making sure that the scientific evidence that is considered by the fact finder is reliable and relevant. With all of the differences, the states have a great deal in common. By researching the law of other jurisdictions, it is possible to find cases and theories that support arguments not yet tried in home jurisdictions and to effectively challenge scientific evidence. 4. The statute held unconstitutional in Barud was subsequently amended to provide that a breath test within three hours of arrest was prima facie evidence of the defendant's BAC at the time of arrest. The new statute withstood constitutional attack in Commonwealth v. Murray, 749 A.2d 513 (Pa.Super. 2000), because the presumption that the defendant's breath test reflected the level at the time of driving was rebuttable. 5. Although the Alaska legislature has since made clear its intention to penalize the test result and therefore not have the fact-finder consider the margin of error, see, Bushnell v. State, 5 P.3d 889 (Alaska App. 2000), the case remains persuasive in many other jurisdictions.